My goal is to drink at least one 16-32 ounce green smoothie every day this month. 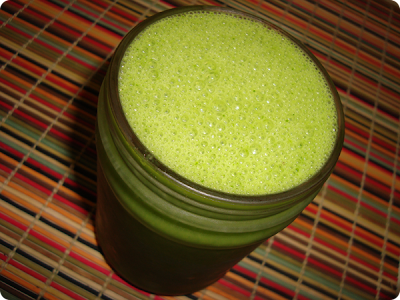 I got off track over vacation and really missed how great these green drinks make me feel. Yesterday I bought two big bags of kale on sale and decided to put that and my frozen bananas to work for me this morning.